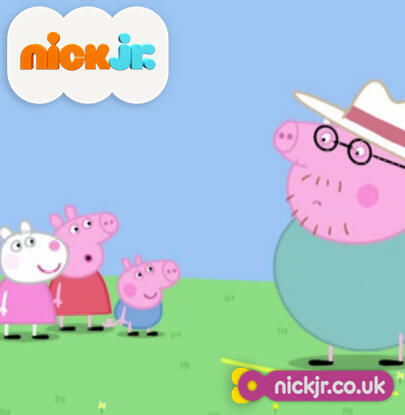 Nick Jr. UK and Ireland has announced on their official Twitter profile page (@NickJrUK) that Nickelodeon UK and Ireland's preschool channel, Nick Jr. Channel UK and Ireland, will start to premiere and show brand new episodes of Nick Juniors' popular animated preschool television series "Peppa Pig" everyday at 7.15am and 5.45pm (repeated at 8.15am and 6.45pm on Nick Jr. UK's plus-one (+1) timeshift channel, Nick Jr.+1), straight after Nick Jnr. UK airs brand new episodes of "Ben & Holly's Little Kingdom" at 7am and 5.30pm (replayed at 8am and 6.30pm on Nick Jr.+1), from Monday 1st April 2013 as part of the channels Easter 2013 school holiday programming line-up! Nick Jr. UK and Ireland has announced on their official Twitter profile page (@NickJrUK) that Nickelodeon UK and Ireland's preschool channel, Nick Jr. Channel UK and Ireland, will premiere and show brand new episodes of Nick Juniors' popular animated preschool television series "Ben & Holly's Little Kingdom" everyday at 7.00am and 5.30pm (repeated at 8am and 6.30pm on Nick Jr. UK's plus-one (+1) timeshift channel, Nick Jr.+1), right before Nick Jr. UK airs brand new episodes of "Peppa Pig" at 7.15am and 5.45pm (replayed at 8.15am and 6.45pm on Nick Jr.+1), from Monday 1st April 2013 as part of the channels Easter 2013 school holiday programming line-up! 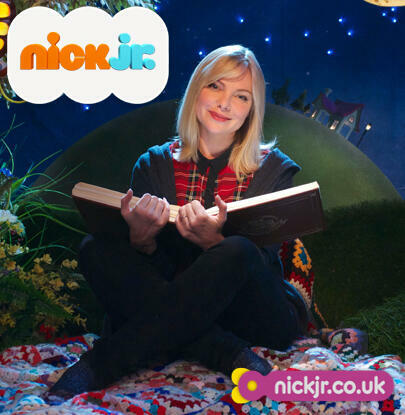 Watch @TheNannyPlum and friends in new eps of Little Kingdom Monday 1st April 7am and 5.30pm. 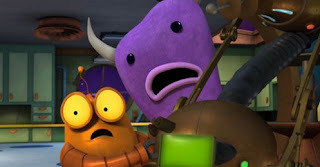 Catch new clips http://on.nickjr.co.uk/lk now! Nickelodeon Germany has announced on their official website, nick.de, the Nick Germany news that, after showing a special sneak peek of "Marvin, Marvin" on Sunday 24th March 2013, Nickelodeon Germany (also known as Nickelodeon Deutschland) will fully premiere and show Lucas Cruickshank's brand new intergalactic Nickelodeon comedy series "Marvin Marvin" from Friday 12th April 2013 at 6.25pm (18:25)! Nick Deutschland's official "Marvin Marvin" show website has unveiled a exclusive online streaming video featuring the very first episode (pilot) of Nickelodeon's brand new live-action original comedy series "Marvin, Marvin" (dubbed in German), which Nickelodeon Germany fans and viewers can watch here on nick.de. ICarly: "I was surprised to WORLD"
31@18.20h Sunday before the # KCA.Nick Pass with iCarly!. ICARLY: "YO SORPRENDI AL MUNDO"
Domingo 31 @18.20h antes de los #KCA. 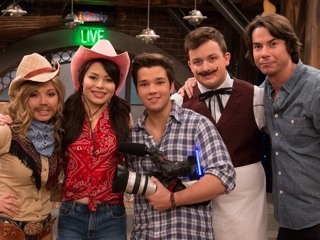 ¡Pásalo Nick con iCarly!. 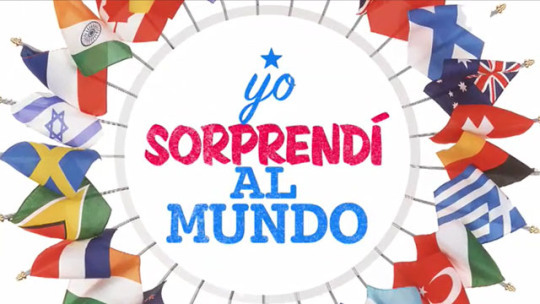 Nick.es' official "iCarly" show website also features a online streaming video clip of Nick Espana's "Yo Sorprendi Al Mundo" trailer/promo, which visitors located in Spain can watch here on Nick Spain's official "iCarly" website. Nick.es's official "Marvin Marvin" show website also features show information, video clips from the series and character bios about each of the cast. Nickelodeon Italy To Premiere 5 New Episodes Of "Kung Fu Panda: Legends of Awesomeness" From Monday 1st April 2013, Including New Special "Enter the Dragon"
Operation Dragon for the Dragon Warrior! From Monday, April 1 at 20:30 exclusively on Nickelodeon get new episodes of Kung Fu Panda Mythical Adventures. As always, Po and the Furious Five will face new challenges. Po be able to defeat him? We, of course we root for the Dragon Warrior! 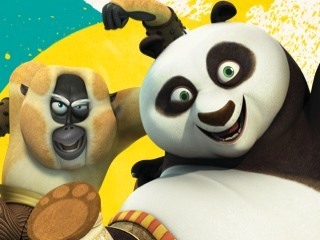 To enjoy this and other adventures of Po Kung Fu Panda, do not miss [Kung Fu Panda Week] on April 1 every night at 20:30. Operazione Dragone per il Guerriero Dragone! Da lunedì 1 aprile alle 20:30 in esclusiva su Nickelodeon arrivano i nuovi episodi di Kung Fu Panda Mitiche Avventure. Come sempre Po e i Cinque Cicloni dovranno affrontare nuove sfide. Riuscirà Po a sconfiggerlo? Noi ovviamente facciamo il tifo per il Guerriero Dragone! Per goderti questa e altre avventure di Po non perderti la Kung Fu Panda Week dal 1 aprile ogni sera alle 20:30. Nickelodeon Italy (also known as Nickelodeon Italia) has announced in the following article, translated by Google Translate, from the 'Notizie'/'News' section on their official website, NickTV.it, the Nickelodeon news that Nickelodeon Italy, the Italian version of the popular children's channel, is planning to premiere and show brand new episodes of the popular Nickelodeon original comedy series "iCarly", including the all-new episodes "iGet Banned", "iFind Spencer Friends" (locally titled "Nuovi amici per Spencer", which translates as "New friends for Spencer"), "iRescue Carly", and "iBust a Thief", in a special week full of "iCarly" episode premieres from daily at 6.40pm from Monday 8th April 2013, which will lead up to the brand new very special one-hour series finale episode of Nickelodeon's groundbreaking hit sitcom "iCarly" called "iGoodbye" on Saturday 13th April 2013! In the latest episodes will be succeeded in all colors. Freddie and Gibby become part of a band, while Carly is banned from the Groovy Smoothie. Know an old (and dangerous) friends with Sam and we're going to Las Vegas to free his mother. And who is the thief who stole the computer from Sam? Spencer is the time to make new friends and know a super fan of iCarly played by Emma Stone, who we saw in The Amazing Spider-Man in the role of Gwen. View photos of the episode New Friends Spencer with Emma Stone! Would you like to be the protagonist of the grand finale iGoodbye? Would you like to take home an object from the set of iCarly? Would you want a crew of Nick would organize your home a iParty? If you answered yes to any of these questions enter our competition iGoodbye! Nelle ultime puntate ne succederanno di tutti i colori. Freddie e Gibby entrano a far parte di una band, mentre Carly viene bandita dal Groovy Smoothie. Conosceremo una vecchia (e pericolosa) amica di Sam e andremo a Las Vegas per liberare la sua mamma. E chi è il ladro che ha rubato il computer di Sam? Per Spencer è arrivato il momento di fare nuove amicizie e conoscerà una super fan di iCarly interpretata da Emma Stone, che abbiamo visto in The Amazing Spider-Man nel ruolo di Gwen. Guarda le foto dell'episodio Nuovi amici per Spencer con Emma Stone! Ti piacerebbe essere protagonista del gran finale iGoodbye? Vorresti portarti a casa un oggetto dal set di iCarly? Vorresti che una troupe di Nick organizzasse a casa tua un iParty? Se hai risposto sì ad almeno una di queste domande partecipa alla nostra competition iGoodbye! More of Nickelodeon UK's April 2013 schedule highlights and upcoming events will be posted in this NickALive! Nickelodeon UK blog post when they are announced. Latest Nickelodeon UK schedule news and updates will be posted in each Nick channels category in this blog post. Keep your TV tuned to Nick this April as Nick, Nicktoons and Nick Junior has tons and tons of brand new shows and all-new episodes of your favourite Nickelodeon shows this month, including the farewell series finale episode of "iCarly", "iGoodbye", and the long-awaited "House of Anubis" Season 3, "The Reawakening"! Plus catch all your favourite "iCarly" episodes in a Complete iCarly Download with iRewind this Easter on Nickelodeon UK! AND, the countdown to Nickelodeon UK's 20th Birthday on Sunday 1st September 2013 continues! New BTR Episode "Big Time Camping": The Nickelodeon UK fanblog NickUKHub is reporting that the online British and Irish television schedule guide Digiguide has announced and confirmed the Nickelodeon UK News that Nick UK and Eire will premiere and show the brand new "Big Time Rush" episode titled "Big Time Camping" on Nickelodeon UK and Ireland and Nickelodeon HD UK on Saturday 20th April 2013 at 5.30pm (repeated at 6.30pm on Nick UK's plus-one (+1) timeshift channel, Nick+1)! 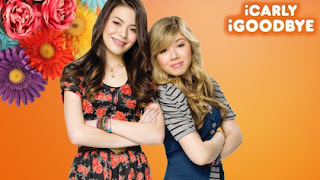 Easter Monday And April Fools Day On Nickelodeon UK: To celebrate the Easter Monday bank holiday and the Easter 2013 school holiday's, Nickelodeon UK and Nick Jr. UK has lined up a Mega Monday on 1st April 2013 full of brand new episodes of "iCarly", "VicTORIous", "The Go!Go!Go! Show", "Ben & Holly's Little Kingdom", and "Peppa Pig", plus the Complete iCarly Download continues on Nick UK & Eire with iRewind and the ultimate "SpongeBob SquarePants" marathon continues on Nicktoons UK and Ireland with "SpongeBob's Ultimate Egghead Challenge", and much more that you'll be an April Fool to miss! New Episode of iCarly: Nickelodeon UK will premiere and show the brand new second-to-last episode of the popular Nickelodeon comedy series "iCarly" called "iBust a Thief" on Nickelodeon UK and Ireland and Nickelodeon HD UK on Monday 1st April 2013 at 5.30pm (repeated at 6.30pm on Nick UK's plus-one (+1) timeshift channel, Nickelodeon +1). Series Finale of iCarly: Nickelodeon UK and Ireland and Nickelodeon HD UK will premiere the brand new very special one-hour series finale episode of Nickelodeon's groundbreaking hit sitcom "iCarly" called "iGoodbye" on Friday 5th April 2013 at 5.30pm (repeated one hour later at 6.30pm on Nick UK's +1 (plus-one) timeshift channel, Nick+1), as part of "April on Nickelodeon UK 2013" and Nick UK's special iRewind programming stunt. New Season - House of Anubis: The Reawakening (Season 3): Nickelodeon UK and Ireland and Nickelodeon HD UK will start to premiere and show season three of Nickelodeon's hit mystery drama series "House Of Anubis", dubbed "The Reawakening", daily in a half-hour (2 episodes) block, starting with episode 1, "House of Arrivals", from Monday 15th April 2013 at 6.00pm (repeated at 7.00pm on Nick UK's plus-one (+1) timeshift channel, Nick+1)! SIBUNA! #AnubisSeason3 Replayed! : Nick UK and Eire have announced the Nick UK News, that, to celebrate the brand new third season of Nickelodeon's hit live-action mystery drama series "House of Anubis", dubbed "The Reawakening", Nickelodeon UK and Ireland and Nickelodeon HD UK will start to repeat "House of Anubis" season 3 from the very first episode ("House of Arrivals") daily at 8.00pm (repeated at 9.00pm on Nick UK's plus-one (+1) timeshift channel, Nick+1) from Monday 22nd April 2013, giving SIBUNA fans the perfect chance to catch up with any HoA episodes they may have missed and/or to rewatch the exciting drama again! Nickelodeon UK will continue to premiere and show brand new episodes from season three of "House of Anubis" weekdays at 6.00pm (replayed at 7.00pm on Nickelodeon+1) and the shows UK-produced behind-the-scenes companion series "Anubis Unlocked" Friday's at 6.30pm (7.30pm on Nick +1). WIN! : Calling all "House of Anubis" superfans! Find out how YOU could win a House of Anubis school blazer and tie which has been worn by Fabian Rutter, played by Nickelodeon Star Brad Kavanagh, on the show! SIBUNA! New Show - Marvin Marvin: Nickelodeon UK and Ireland and Nickelodeon HD UK will fully premiere and show Lucas Cruickshank's brand new intergalactic Nickelodeon comedy series "Marvin Marvin" from Friday 5th April 2013 at 6.30pm (repeated one hour later at 7.30pm on Nick UK's +1 (plus-one) timeshift channel, Nick+1), then daily at 4.30pm (replayed 5.30pm on Nickelodeon+1). New BTR Episode: Nickelodeon UK and Ireland and Nickelodeon HD UK will premiere the brand new "Big Time Rush" titled "Big Time Decision" on Saturday 6th April 2013 at 5.30pm (repeated at 6.30pm on Nick UK's plus-one (+1) timeshift channel, Nick+1)! New Episode of Big Time Rush: Nick UK and Eire have announced they will premiere and show the brand new "Big Time Rush" episode called "Big Time Babysitting" on Nickelodeon UK and Ireland and Nickelodeon HD UK on Saturday 13th April 2013 at 5.30pm (repeated at 6.30pm on Nick UK's plus-one (+1) timeshift channel, Nick+1)! Schedule Changes: Starting from Monday 15th April 2013, Nickelodeon UK will start to show Lucas Cruickshank's brand new intergalactic Nickelodeon comedy show "Marvin Marvin" at 4.30pm, and the all-new season three of Nickelodeon's hit mystery drama series "House Of Anubis", dubbed "The Reawakening", daily at 6.00pm, with a repeat at 8.00pm, daily. Nickelodeon UK will also be finishing their "The '90s Are All That" style 90's Nickelodeon programming block. New Episode of VicTORIous: Nick UK and Eire will premiere and show the brand new episode of the popular Nickelodeon original comedy series "Victorious" called "Crazy Ponnie", which guest stars Nickelodeon & "iCarly" Star Jennette McCurdy, on Monday 15th April 2013 at 5.30pm (repeated at 6.30pm on Nick UK's +1 (plus-one) timeshift channel, Nickelodeon+1), followed by the UK and Irish premiere of the first episode from the all-new season three of Nickelodeon's hit mystery drama series "House Of Anubis", dubbed "The Reawakening", called "House of Arrivals" at 6.00pm (repeated at 7.00pm on Nick+1)! SIBUNA Unlocked: Nick UK and Eire has announced that, to celebrate Nickelodeon UK and Ireland premiering and showing season three of Nickelodeon's hit live-action mystery drama series "House Of Anubis", dubbed "The Reawakening", from Monday 15th April 2013 at 6.00pm (repeated at 7.00pm on Nick UK's plus-one (+1) timeshift channel, Nick+1), Nickelodeon UK and Ireland will premiere and show the first episode of the shows UK-produced behind-the-scenes companion series "Anubis Unlocked" on Friday 19th April 2013 at 6.30pm (repeated at 7.30pm on Nick +1)! Nickelodeon UK is then expected to continue to air more brand new episodes of "Anubis Unlocked" every Friday at 6.30pm. New Nicktoon - Robot & Monster: Nick UK's animation and action channel, Nicktoons UK and Ireland, will start to premiere and show Nick's brand new original CGI-animated comedy series (Nicktoon) "Robot & Monster" from Monday 15th April 2013 (transmission (TX) timeslot to be announced by Nickelodeon UK), as part of "April on Nicktoons UK 2013". New Special: Nick UK's animation and action channel, Nicktoons UK and Ireland, will be holding a special "SpongeBob SquarePants" themed programming stunt called "SpongeBob's Ultimate Egghead Challenge" to celebrate the UK Easter school holidays! New Show - Max Steel: Nick UK's animation and action channel, Nicktoons UK and Ireland, will start to premiere and show the 26-episode CGI-animated science fiction–action series "Max Steel" in April 2013, as part of "April on Nicktoons UK 2013"! New Series - "Rocket Monkeys": Nickelodeon UK News that Nick UK's animation and action channel, Nicktoons UK and Ireland, will start to premiere and show the brand new Canadian animated comedy series "Rocket Monkeys" in April 2013, as part of "April on Nicktoons UK 2013"! New Look: Nickelodeon UK's animation and action channel, Nicktoons UK and Ireland, has today (Monday 15th April 2013) launched their brand new rebrand! Nicktoons is now 100% toons* (may contain nuts). Brand New "Ben and Holly": Nick Jr. UK and Ireland has announced on their official Twitter profile page (@NickJrUK) that Nickelodeon UK and Ireland's preschool channel, Nick Jr. Channel UK and Ireland, will premiere and show brand new episodes of Nick Juniors' popular animated preschool television series "Ben & Holly's Little Kingdom" everyday at 7.00am and 5.30pm (repeated at 8am and 6.30pm on Nick Jr. UK's plus-one (+1) timeshift channel, Nick Jr.+1) from Monday 1st April 2013 as part of the channels Easter 2013 school holiday programming line-up! Brand New "Peppa Pig": Nick Jr. UK and Ireland has announced on their official Twitter profile page (@NickJrUK) that Nickelodeon UK and Ireland's preschool channel, Nick Jr. Channel UK and Ireland, will start to premiere and show brand new episodes of Nick Juniors' popular animated preschool television series "Peppa Pig" everyday at 7.15am and 5.45pm (repeated at 8.15am and 6.45pm on Nick Jr. UK's plus-one (+1) timeshift channel, Nick Jr.+1) from Monday 1st April 2013 as part of the channels Easter 2013 school holiday programming line-up! New Bedtime Story: Nick Jr. UK has announced on their official Twitter profile page (@NickJrUK) that Nickelodeon UK and Ireland's preschool channel, Nick Jr. Channel UK and Ireland, will premiere and show a brand new episode of Nick Junior's popular Bedtime stories series "A Bedtime Story" that will guest star the American singer, dancer, choreographer and television personality Kimberly Wyatt, best known as a former member of the American pop/R&B girl group and dance ensemble the Pussycat Dolls, on Friday 12th April 2013 at 6.30pm (repeated at 7.45pm on Nick Jnr., and at 7.30pm and 8.45pm on Nick Jr. UK's plus-one (+1) timeshift channel, Nick Jr.+1), as part of Nick Jr. Channel UK's nightly 'Bedtime' programming strand (block). Nick Junior UK's Twitter Tweet (post), below, also features an exclusive photograph of Samantha Womack with Nick Junior UK's puppet presenters Arnie and Barnie (The Wiggly Worms; "The Wiggle Song") on the studio set filming an episode of Nick Jr UK's "A Bedtime Story" bedtime story series. New Show and Presenters - The Go!Go!Go! Show: Nickelodeon UK and Eire's preschool channel, Nick Jr. Channel UK and Ireland, will start to premiere and show their brand new short form series 'The Go!Go!Go! Show' everyday at 7.00am and 8.00am (repeated at 8am and 9am on Nick Jr. UK's plus-one (+1) timeshift channel, Nick Jr.+1) from Monday 1st April 2013, as part of "April on Nick Jr. UK 2013"! NOTE: The British newspaper The Daily Mirror is reporting in an article on their official website that, due to reports of the arrest of the Australian entertainer Rolf Harris in connection with Operation Yewtree, Nickelodeon UK and Ireland has decided to withdraw Nick Jr. UK and Blue Zoo's animated preschool series "Olive the Ostrich", a series in which Rolf Harris narrates, from their preschool channels, Nick Jr. UK and Ireland and Nick Jr. 2, schedules for the time being while the police investigation is ongoing. You can read the article in full here on mirror.co.uk. VIVA launches on Freesat UK: Viacom International Media Networks Europe have launched the UK and Irish version of their popular free-to-air music video and entertainment channel, Viva, VIVA UK and Ireland, on the British free-to-air digital satellite television service Freesat. According to Wikipedia, VIMN launched VIVA on Freesat on Tuesday 2nd April 2013. 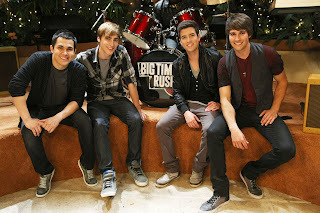 UK Music Channel The Vault To Air Special "Big Time Rush" Show "We Love Big Time Rush!" On Friday 29th March 2013 At 9pm! The official Sky Guide TV listings website is reporting the "Big Time Rush" news that the British music television channel The Vault will be showing a special 20-minute programme dedicated to Nickelodeon boy band "Big Time Rush" called "We Love Big Time Rush!" on Friday 29th March 2013 at 9.00pm (TONIGHT!)! UK and Irish Rushers can tune in to "We Love Big Time Rush!" on The Vault on Sky channel 366, Freesat channel 501, Eutelsat at 28A 11307 V 27500 2/3, and on the WightFibre cable channel 91. Big Time Rush UK News via Twitter user @IrishRusher_xx. I am here tonight to present the award for Favourite UK Sports Star. So, before I do that, I just want to give a quick shout-out to all my fans back in the UK. You guys are the best, and I'll see you soon. I love you all. Photo of Nickelodeon Celebrity Victoria Justice holding the KCA blimp award for Favorite TV Show at Nickelodeon's 26th Annual Kids' Choice Awards on Saturday 23rd March 2013 at the Galen Center at USC in LA from Just Jared Jr.com. Follow NickALive! on Twitter, Tumblr, Google+, and/or Facebook for the latest Nickelodeon UK News! Brace yourselves Rushers and Victorians, Big Time Rush and Victoria Justice have just announced some epic news! While making appearances on the US daily morning radio show "On Air with Ryan Seacrest" today (Friday 29th March 2013), Nickelodeon boy band "Big Time Rush" and Nickelodeon Star Victoria Justice ("Zoey 101", "Victorious") revealed that they're joining forces for a all-new summer tour called "Summer Break Tour"! That's right! BTR and VJ are hitting the road together, performing at over 38 cities across the USA, kicking off the tour at the Gibson Amphitheatre in Los Angeles, California, USA! According to Columbia Records' official press release on the tours official website, SummerBreakTour.com announcing the news (also below), tickets for the tour go on sale to the general public on Saturday April 6th 2013 at LiveNation.com, Ticketmaster.com or by calling 1-800-745-3000. Big Time Rush is happy to announce that Club Rush members will receive exclusive access to presale tickets and VIP packages beginning Wednesday April 3rd 2013 for select cities. What do you think of the news? Are you planning to attend a "Summer Break Tour" concert? Let NickALive! know on Twitter, Tumblr, Google+, and/or Facebook! Brace yourselves BTR and Victoria Justice fans! Because Big Time Rush and Victoria Justice revealed to “On Air with Ryan Seacrest“ they’re joining forces for upcoming Summer Break Tour! That’s right! BTR and Victoria Justice are hitting the road together, performing at over 38 cities across the U.S., kicking off the tour at the Gibson Amphitheatre in Los Angeles. So why did the boy band and Victorious decide to team up? And be sure to tune in to “On Air with Ryan Seacrest” Tuesday April 2 for more details from the BTR boys and Victoria live on air as well as your chance to win tickets! (NEW YORK, NY – March 29, 2013) Columbia Records and Nickelodeon’s multi-platinum selling superstars Big Time Rush and triple threat sensation Victoria Justice announced today that they will kick off their “Summer Break Tour” on June 21st in Los Angeles. Fans will get to see both artists’ electrifying performances in over 38 cities across the U.S., including stops in New York, Chicago and Dallas. Olivia Somerlyn will be support for this tour. Tickets for the tour go on sale to the public April 6th at LiveNation.com, Ticketmaster.com or by calling 1-800-745-3000. For more information on the tour, please visit www.SummerBreakTour.com. Both Big Time Rush and Victoria Justice have taken their on camera careers to the stage with the help of the global partnership between Columbia Records and Nickelodeon. Big Time Rush are currently recording their highly anticipated third album set to release in early Summer 2013. The release will feature brand new music that will debut on the upcoming season of the TV series, “Big Time Rush,” which averages 3.6 million total viewers. 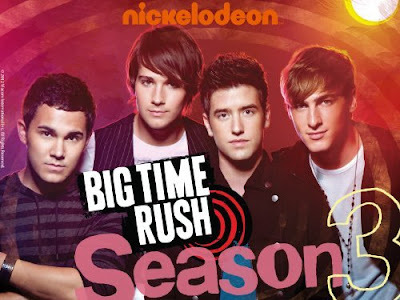 Big Time Rush was the most watched live-action series premiere in Nickelodeon's history, with 6.8 million viewers. Elevate, Big Time Rush’s second album released by Columbia Records/Nickelodeon, was the follow-up to the group's blockbuster debut, 2010’s gold-certified BTR. The band’s 2012 summer anthem single “Windows Down,” has garnered over 15 million video views and quickly climbed the radio charts becoming their third consecutive charting single at Pop radio. To date, Big Time Rush has sold close to 4 million singles. Victoria Justice starred in the hit Nickelodeon series, Victorious, which recently won its second Kids’ Choice Award in the category of "Favorite TV Show." Prior to having her own series, Victoria starred in Zoey 101. In 2012 she starred alongside Chelsea Handler and Johnny Knoxville in the Paramount Pictures’ feature FUN SIZE. Victoria has been nominated for a Teen Choice, Kids’ Choice, NAACP Image, ALMA and Imagen Foundation Award. She has graced the cover of Teen Vogue multiple times, Seventeen, Latina, and has made appearances on The Jimmy Fallon Show, The View, and Ellen. Her smash hit single, “Freak the Freak Out” has been certified gold and the singer/songwriter has sold over 3 million digital downloads overall. She is currently in the studio writing and recording for her forthcoming solo album. + Not a member yet? Haven't renewed your subscription yet? No problem! Head here to become a member of Club Rush today! + You MUST become a member by 12:00pm PDT on Tuesday, April 2nd, 2013 in order to gain access to the presale. + Both the BTR Ultimate Membership Package and the BTR Digital Membership Package will receive the same access to the presale. + You will need your unique presale code (which you will receive in a follow-up e-mail no later than April 2nd at 12:30pm PDT) to access these presale tickets. * Indicates a show that will NOT have a fanclub presale. Nick Jr. Channel UK To Show Brand New Episode Of "A Bedtime Story" On Friday 29th March 2013, Featuring Former Eastenders Actress Samantha Womack Telling The Story Of The "Freddie The Brave"
Nick Jr. UK has announced on their official Twitter profile page (@NickJrUK) that Nickelodeon UK and Ireland's preschool channel, Nick Jr. Channel UK and Ireland, will premiere and show a brand new episode of Nick Junior's popular Bedtime stories series "A Bedtime Story" that will guest star English actress, singer and director Samantha Womack, best known for playing the role of Ronnie Mitchell in EastEnders, on Friday 29th March 2013 at 6.30pm (repeated at 7.45pm on Nick Jnr., and at 7.30pm and 8.45pm on Nick Jr. UK's plus-one (+1) timeshift channel, Nick Jr.+1), as part of Nick Jr. Channel UK's nightly 'Bedtime' programming strand (block). Samantha Zoe Womack (formally Janus) is an English actress, singer and director, both on television and stage. In recent years she has been best known for playing the role of Ronnie Mitchell in EastEnders, a popular British television soap opera set in a fictional Victorian square named Albert Square in the fictional London Borough of Walford in the East End of London (E20), but made her name in the mid-1990s as Mandy Wilkins in Game On, and also represented the United Kingdom in the Eurovision Song Contest 1991 with the song "A Message to Your Heart". 6:30pm - A Bedtime Story: Samantha Womack reads tonight's bedtime story, 'Freddie The Brave'. Follow NickALive! on Twitter, Tumblr, Google+, and/or Facebook for the latest Nickelodeon UK and Nick Jr. News! To celebrate Nickelodeon UK starting to premiere and show Lucas Cruickshank's brand new intergalactic Nickelodeon comedy series "Marvin Marvin" from Friday 5th April 2013 at 6.30pm (repeated one hour later at 7.30pm on Nick UK's +1 (plus-one) timeshift channel, Nick+1), the official Nickelodeon UK and Ireland website, Nick.co.uk, has unveiled their brand new official "Marvin Marvin" show website to accompany the brand new Nick sitcom on Nickelodeon, which you can view here at Nick.co.uk/Marvin (and at nick.co.uk/shows/marvinmarvin/default.aspx)! Nickelodeon UK's brand new "Marvin Marvin" website features online short streaming video clips featuring scenes from the new show, a "Meet The Characters" section featuring character bios and information about each character in "Marvin Marvin" - Marvin Forman (Lucas Cruikshank), Teri Forman (Victoria Van Tuyl), Henry Forman (Jacob Bertrand), Robert "Bob" Forman (Pat Finn), Elizabeth "Liz" Forman (Mim Drew), Brianna (Camille Spirlin), and George "Pop-Pop" (Casey Sander), and a photograph gallery featuring stills from #Marvin. Watch Marvin Marvin - Marvin goes on his first double date. Watch Marvin Marvin - Marvin is trying to woo the ladies. The Nickelodeon UK fanblog NickUKHub is reporting that the online television schedule guide Digiguide has announced the Nickelodeon UK News that Nick UK and Eire will be making a few schedule changes to their weekday afternoon and evening schedules in mid-April 2013. The Nickelodeon UK fanblog NickUKHub is reporting that the online television schedule guide Digiguide has announced the Nickelodeon UK News that Nick UK and Eire will premiere and show the brand new episode of the popular Nickelodeon original comedy series "Victorious" called "Crazy Ponnie", which guest stars Nickelodeon & "iCarly" Star Jennette McCurdy, on Monday 15th April 2013 at 5.30pm (repeated at 6.30pm on Nick UK's +1 (plus-one) timeshift channel, Nickelodeon+1), followed by the UK and Irish premiere of the first episode from the all-new season three of Nickelodeon's hit mystery drama series "House Of Anubis", dubbed "The Reawakening", called "House of Arrivals" at 6.00pm (repeated at 7.00pm on Nick+1)! Nick UK originally scheduled to premiere "Crazy Ponnie" on Monday 25th February 2013 at 6.00pm, but decided to show the new "Victorious" episode "The Hambone King" instead towards the airdate. 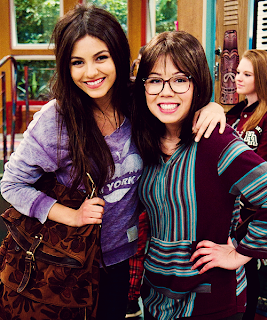 All the all-new season 3 episode of "Victorious" titled "Crazy Ponnie", Tori Vega (Victoria Justice) is befriended by Ponnie (Jennette McCurdy), a new student, when meeting her eating inside a bathroom stall. However, Ponnie keeps on disappearing around everyone else, making the Hollywood Arts students think that Tori is losing her mind. Meanwhile, Cat Valentine (Ariana Grande) accidentally waxes Jade West's (Elizabeth Gillies) eyebrows off and Jade runs around trying to get back at Cat. When Cat falls asleep at study hall, Jade cuts off all of Cat's hair. Also, Trina Vega (Daniella Monet) gets a cold. Special Guest Star: Jennette McCurdy ("iCarly", "Sam & Cat") as Ponnie (also known as Fawn Leibowitz). Photo of Victoria Justice as Tori Vega and Jennette McCurdy as Ponnie (AKA Fawn Leibowitz) on the set of Victorious episode "Crazy Ponnie" from "Victorious" fan Tumblr blog fyeahvictorious. The Nickelodeon UK fanblog NickUKHub is reporting the Nickelodeon UK News that Nick UK and Eire have announced they will premiere and show the brand new "Big Time Rush" episode called "Big Time Babysitting" on Nickelodeon UK and Ireland and Nickelodeon HD UK on Saturday 13th April 2013 at 5.30pm (repeated at 6.30pm on Nick UK's plus-one (+1) timeshift channel, Nick+1)! In the all-new episode of BTR, titled "Big Time Babysitting", Kendall Knight (Kendall Schmidt) and Logan Mitchell (Logan Henderson) have to babysit a rock legend before his hall of fame induction, but he keeps having heart attacks. Meanwhile, Carlos Garcia (Carlos Pena, Jr.) and James Diamond (James Maslow) have to babysit Katie, and keep her from leaving the Palmwoods, so they can get toys. And, Gustavo Rocque (Stephen Kramer Glickman) and Kelly Wainwright (Tanya Chisholm) try to get the special Green Kiwi Jellybeans that Puppy Dog (Doris Leonard Jr.) stole from Babylace (Jess Harnell), so they won't get fired. Along with, Jo Taylor (Katelyn Tarver) and Kendall's relationship is becoming awkward with Jo seeing Kendall kiss Lucy Stone (Malese Jow). Guest Stars: Jess Harnell as Babylace, Katelyn Tarver as Jo Taylor, Doris Leonard Jr. as Puppy Dog, Patrick Hancock as Hall of Rock floor manager and Challen Cates as Mrs. Knight. Billboard Interviews Nickelodeon Star Ariana Grande About Her New Song "The Way"
"If you want to motivate Mac Miller to do anything, just bake cookies," the Nickelodeon star tells Billboard about her new collaboration. Ariana Grande, the 19-year-old co-star of the Nickelodeon sitcom "Victorious," has a new hit single to match her upcoming TV series "Sam & Cat." "The Way," featuring Pittsburgh MC Mac Miller, received an official music video on Thursday (Mar. 28) after hitting iTunes on Tuesday through Republic Records, and the bubbly, unassuming collaboration reveals the captivating pop talent that Grande is very quickly becoming. Grande tells Billboard that the new single came together when she met with U.K. producer Harmony Samuels (Chris Brown, Ne-Yo) earlier this year and was presented with the slinky R&B beat, which samples Big Pun's 1998 classic "Still Not a Player." "He played me 'The Way,' and I said, 'Oh, that's it. We have to do that one -- that's what we have to go with,'" says Grande. "I cut my vocal on it, and then Mac and I had been hanging out for a while at that point, and I was like, 'I really want you to feature on this record. What do you think?' And he said, 'Sounds like a hit to me!'" Grande served as a studio engineer as Miller, the indie MC whose 2011 debut "Blue Slide Park" hit No. 1 on the Billboard 200 chart, recorded his vocals for "The Way," and the rapper even taught the pop starlet how to manage Pro Tools while they shared studio time. "When he was recording his part, I was baking cookies in the kitchen upstairs, and every time I took a break I came into the studio to bring him a new batch of cookies and something else amazing had been written," Grande recalls. "If you want to motivate Mac Miller to do anything, just bake cookies." Grande is also proud of the fact that the concept for the song's music video was largely orchestrated by its two artists. Directed by Jones Crow, the clip finds Grande and Miller romping through a sea of white balloons and playfully flirting while video of the pair is projected on the white wall behind them. The Nickelodeon star admits that the single and its accompanying video showcase a more mature version of herself, but bristles at the suggestion that "The Way" is a declaration of newfound adulthood. "I'm just trying to grow up and live my life and entertain people as well," says Grande. "I don't think there needs to be any big landmark of 'Ariana grew up' -- although I do kiss Mac Miller in my video, so that's quite a statement!" After Grande released the single "Put Your Hearts Up" in 2011 (120,000 downloads sold to date, according to Nielsen SoundScan), "The Way" will likely lead the singer's Republic debut, due out later this year. Grande says that she's still considering songs for her first LP, as well as potential collaborators for the project. "Big Sean is a good friend of mine, and he's of my favorite rappers," she says. "I've been talking to him and he's like, 'We have to do something together,' and I'm like, 'Yes, we do!'" Meanwhile, the "Victorious" star -- for the non-Nickeloden-savvy, Grande plays Cat Valentine, one of the friends of Victoria Justice's character Tori Vega -- is filming the Nick show "Sam & Cat," in which she'll reprise her role as Valentine alongside Jennette McCurdy, who will bring her "iCarly" character Sam Puckett over to the spin-off. Grande believes that "Sam & Cat," set to premiere on Nickelodeon later this year, will cater to an even younger audience than "Victorious," but that the potential disconnect between that demographic and her teen music fans is hardly cause for concern. "When I do 'Sam & Cat,' and when I act as Cat, of course I'm still going to be there for my younger fans," says Grande. "But I'm also growing up -- I'm almost 20. I'm not going to do anything crazy, but I want to do music that I'm passionate about. I'm finally at an age where I can do the music that I grew up loving, which was urban pop, 90s music. I grew up listening to the divas, so I'm very happy to finally do urban pop. I hope that it's received well, and it has been so far." VIDEO: Watch Ariana Grande's single The Way Feat. Mac Miller! Ariana Grande is rumoured to be the next big thing! The 19-year-old American singer/actress's new single The Way went to Number One in America on iTunes within eight hours and simultaneously hit number 13 in the UK. She has amassed 5 million Twitter followers, 3 million Facebook likes, 3 million Instagram followers, and over 150 million views on YouTube. Listen to her track in the video above and tell us what you think? Did we also mention Ariana will soon be seen in Nickelodeon’s iCarly/Victorious spinoff show, Sam & Cat. Ariana is releasing her single, The Way Feat. Mac Miller on May 6. Following its recent collaboration with digital music distribution service Zimbalam, BlackBerry has bolstered its content offering on the BlackBerry World storefront today by partnering with a trio of new TV networks and production companies. Shows by PBS, Univision and Viacom have been added to the store, bringing popular shows such as Downton Abbey and programming from channels such as Comedy Central, MTV and Nickelodeon to BlackBerry's existing video catalog. The additional content is exclusive to BlackBerry 10 users in the US, however, and there’s no word yet on a wider international release. The trio join the following broadcasters, which were announced prior to the launch of BlackBerry 10 in January; ABC Studios, BBC Worldwide, CBC/Radio-Canada, CBS, DHX Media, ITV, National Geographic, NBCUniversal (UK), Nelvana, Sony Pictures Home Entertainment (US), Starz Digital Media, Twentieth Century Fox Television, Univision Communications Inc, and Warner Bros. Likewise, BlackBerry World has garnered support from almost all of the big-name film studios and indies; 20th Century Fox, Entertainment One, Lionsgate, MGM, National Film Board of Canada, Paramount Pictures, Sony Pictures Home Entertainment, Starz Digital Media, STUDIOCANAL, The Walt Disney Studios, Universal Pictures, Warner Bros. The move is a significant one for BlackBerry, which is quickly trying to build up its content offering to compete with iTunes on iOS and Google Play on Android. Doing so will help to differentiate itself from the other mobile operating systems competing for third position, such as Microsoft’s Windows Phone and Mozilla’s upcoming Firefox OS. It’s early days just yet, but the problem for BlackBerry will likely be persuading its users to buy this content on a regular basis, rather than getting household names to offer it in the first place. EVERYONE'S favourite explorer is embarking on a musical adventure in Nickelodeon's Dora the Explorer LIVE! Search for the City of Lost Toys at Plymouth Pavilions from Friday, July 19 until Sunday, July 21. Dora the Explorer has lost her teddy bear Osito, and the search is on to retrieve him. With the help of the audience, Map, Backpack, Boots, Diego and their courageous friends, Dora uses her map-reading, counting, musical and language skills to successfully pass through the number pyramid and the mixed-up jungle to reach the City of Lost Toys. But watch out – you never know what that sneaky fox Swiper might be up to along the way. Dora the Explorer fans will delight in this two-act, song and dance spectacular that invites them to think, sing and play along. Tickets cost £18, £16, £14 (subject to a £2.25 per ticket booking fee). Contact the box office on 0845 1461460 or visit www.plymouthpavilions.com. NICKELODEON'S Dora the Explorer will be brought to life in the stage musical Search for the City of Lost Toys, which heads to Plymouth Pavilions from July 19 to 21. Tickets are on sale now. Book online at www.plymouthpavilions.com or call 0845 146 1460. Follow NickALive! on Twitter, Tumblr, Google+, and/or Facebook for the latest Nickelodeon and Nick Jr. news! Clooci Studio has designed the packaging for the Appy Co. Juice Pouches range of children’s drinks, featuring Nickelodeon television channel characters on packs. The brand says this is the first UK range of kids’ juice drinks to use natural sweetener Stevia instead of sugar, and initially the range will feature SpongeBob SquarePants on the Orange & Pineapple variant, Dora the Explorer on Tropical Vitamin Boost and Teenage Mutant Ninja Turtles on the Apple & Blackcurrant product. 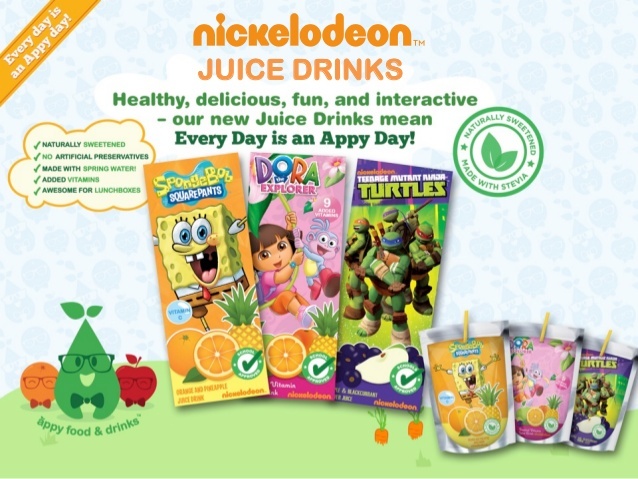 Appy Food and Drinks's upcoming Nickelodeon Juice Drink Pouches range will be the first UK range of kids' juice drinks to use Stevia instead of sugar, and the first UK Juice range to use Nickelodeon characters on the packaging. Initially, three flavours will be available to purchase: "SpongeBob SquarePants" (Orange & Pineapple), "Dora the Explorer" (Tropical Vitamin Boost) and "Teenage Mutant Ninja Turtles" (Apple & Blackcurrant). Further flavours are planned to be revealed later in the year. Low in fat, saturated fat, salt and sugar, the range is a healthier option than many other juices currently on the market. The Juice pouches also contain no artificial preservatives and are the first kids drink to use the recently acclaimed natural sweetener Stevia – a zero calorie ingredient that tastes like sugar, whilst keeping the drink all green on the new incoming drinks traffic light system. Appy will also be running a competition, with prizes to be won, every week; Prizes will include a range of goodies including: teddy bears, DVDs, stickers, iPods, iPads, passes to Nickelodeon Land for a family of four, and a grand prize of being taken on a cruise holiday on a Nickelodeon cruise line. To enter the competition entrants must scan the props on the back of the juice packages and use them on the Appy Drinks App to customise their own pictures, and then share them via Twitter or Facebook. T&Cs will apply. You can find out more information about Appy Food & Drinks Co.'s upcoming Nickelodeon Juice line here on NickALive!. You can also view Clooci Studio's designs for the Nick Juice range here on the design studios official Behance profile. Robot and Monster live in a strange and often illogical place where robots and monsters (known as Mechanicals‖and Organics) live side-by-side, and everybody is united by their love of bacon. Robot, a Mechanical, is a self-proclaimed genius, amateur inventor and Big Thinker, convinced that he is capable of great things, an opinion that is shared by absolutely no one else except… Monster. Monster, an Organic, is happy-go-lucky. He is also happy-go-unlucky. He believes good things happen to good people and that all people are good. Together, the relentlessly ambitious Robot and pathologically content Monster form an unlikely friendship. NEW YORK, March 27, 2013 /PRNewswire/ -- Actress and singer ARIANA GRANDE premiered her anxiously awaited new single, "The Way" (Featuring Mac Miller), on Ryan Seacrest 's KIIS FM morning show "On-Air With Ryan Seacrest" on 3/25th. As soon as it hit the airwaves, #theway became the number one trending topic on Twitter worldwide. Upon becoming available on iTunes and all digital retailers the same day, "The Way" skyrocketed to the coveted #1 spot on iTunes Overall Chart in less than 8-hours, besting the likes of P!nk, Justin Timberlake , Bruno Mars and Rihanna. GRANDE currently has the fastest growing single from a new artist in 2013. It's a sweet, slick, and soulful anthem showcasing GRANDE's impressive vocal range. Featuring piping hot production from Harmony Samuels [Maroon 5, Mary J. Blige ] and penned by Jordin Sparks and Sevyn Streeter, "The Way" proves to be a pop powerhouse in its own right. The singer's voice shines, while Mac Miller drops a raucous verse. It's the perfect way to meet the young diva. In addition, the track's music video, directed by Jones Crow will make its VEVO debut on March 28. GRANDE rose to immense popularity starring in the hit Nickelodeon show Victorious. In addition, her spin-off Sam & Cat is set to premiere on Nickelodeon in Fall 2013. Singing and performing since the age of eight, music remains GRANDE's first love. Over the course of her career, she carved out an overwhelming fan base online. The Huffington Post listed her as the "Third Most Influential Actress Online" above Miley Cyrus and Jennifer Aniston , while Billboard even dubbed her "Most Influential Person to Watch Online". To date, she has amassed 5 million Twitter followers, 3 million Facebook likes, 3 million Instagram followers, and 150 million YouTube/VEVO views. Now it's Ariana Grande 's time to make a gigantic splash in the pop world. A division of Universal Music Group, the world's leading music company, Republic is home to an all-star roster of multi-platinum, award-winning legends and superstar artists such as 3 Doors Down, Amy Winehouse, Black Sabbath, Colbie Caillat , Eddie Vedder , Enrique Iglesias , Florence + the Machine, Godsmack, Owl City, The Voice (NBC-TV), Gotye, Of Monsters & Men, Mayer Hawthorne, among many others. It is comprised of innovative imprints and digital business ventures including Republic Nashville (The Band Perry), Cash Money (Lil Wayne, Drake, Nicki Minaj), Lava Records (Jessie J, Black Veil Brides), Aware Records (Mat Kearney), Brushfire (Jack Johnson , G. Love), XO (The Weeknd), Loma Vista (Soundgarden, Damian Marley ) among others. The official website of The York Press, a local daily newspaper for communities in North and East Yorkshire, UK, and is based on the city of York, is reporting in the following article that Nickelodeon Movies star Nicola Peltz, who played Katara in M. Night Shyamalan's "The Last Airbender" in 2010, which was a big screen live-action adaptation of the popular Nickelodeon original animated series (Nicktoon) "Avatar: The Last Airbender", has been cast as the lead female role in Paramount Pictures' upcoming sequel to their "Transformers" movie franchise, "Transformers 4", which will be directed by Michael Bay. IMDb is also reporting that Nicola Peltz will be playing the daughter of Mark Wahlberg and will be the go-to human for the Autobots. The York Press reports further on this news and reports, based on early plot outlines, she will be dating the arrogant race car driver played by Jack Reynor. The latest "Transformers" film, which is set after the events of the previous movie ("Transformers 3"), is due to begin filming in Michigan later this year (2013) and is scheduled for theatrical release in June 2014. Nicola Peltz has been confirmed for the lead female role in the upcoming 'Transformers 4' movie, following in the footsteps of Megan Fox and Rosie-Huntington-Whiteley. Nicola Peltz is set to star in 'Transformers 4'. The up-and-coming actress has been confirmed for the lead female role in the Michael Bay-directed alien robot blockbuster, joining Mark Wahlberg and Jack Reynor. Asked whether former 'Transformers' star Megan Fox might return for the forthcoming movie on Twitter, Bay responded: "No. Female lead has been cast. Nicola Peltz." The 18-year-old actress previously starred in M. Night Shyamalan's 'The Last Airbender' in 2009, which was a big screen adaptation of the Nickelodeon animated series 'Avatar: The Last Airbender'. Peltz is currently working on TV show 'Bates Motel', which is a loose prequel to Alfred Hitchcock's serial killer horror, 'Psycho', and follows the lives of a teenage Norman Bates and his mother Norma. Based on early plot outlines, it looks as though the actress will play the daughter of Wahlberg's character, who is dating the arrogant race car driver played by Reynor. Peltz follows in the footsteps of beauties such as Megan Fox, who starred in the first 'Transformers' movie and 2009 sequel 'Transformers: Revenge of the Fallen', and model-turned-actress Rosie Huntington-Whiteley, who starred in 2011's 'Transformers: Dark of the Moon'. The latest film, which is set after the events of the previous movie, is due to begin filming in Michigan later this year and is scheduled for release in June 2014. Michael Bay Confirms Transformers 4 Nicola Peltz Casting News! We have known for a while that Nicola Peltz has been cast in Transformers 4. She will be playing the daughter of Mark Wahlberg and will be the go-to human for the Autobots, now that Shia has decided to move on to greener pastures. Now that this has been done, let's just hope that this new Transformers will be as good as the first. Is anyone excited for this movie to come out? If so, let us know why. The book publishing industry news website Book2book is reporting the "Peter Rabbit" news that following the ratings success of Nickelodeon USA, Penguin and Silvergate Media's major co-production of the much anticipated brand new CGI-animated preschool series "Peter Rabbit", which is a fresh re-imagining of the popular Beatrix Potter children's books based on Peter Rabbit and his steadfast friends (along with a couple of toothsome enemies! ), which has already garnered huge audiences on both sides of the Atlantic, Penguin Children's Books has announced in Bologna, for the very first time, their brand new Peter Rabbit animation publishing slate. Five tie-in "Peter Rabbit" titles will publish throughout the year (2013) in the UK to celebrate the launch of the animation including two storybooks, a sticker book, little library format and case board book. 2014 will see "Peter Rabbit" merchandise roll-out. In addition, new "Peter Rabbit" book, "The Christmas Tale of Peter Rabbit" by Emma Thompson, will follow hot on the heels of the critically acclaimed "The Further Tale of Peter Rabbit by Emma Thompson" published September 2012. The new tale will publish October 2013 in the UK and will feature Peter's comical little cousin, Benjamin Bunny and a new character called William. The tale will be set in Beatrix Potter's beloved Lake District. Emma explains: "I'm very proud that Mr. Rabbit has requested a further outing. I shall be more than happy to include his cousin Benjamin whom I've always found peculiarly attractive." The third book by Emma Thompson will publish 2014. Penguin owns world rights in all languages. Penguin Children's is thrilled to showcase at Bologna, for the very first time, the brand new Peter Rabbit animation publishing slate. This spring sees the much anticipated Peter Rabbit CGI animation hop onto our screens. Peter Rabbit, his steadfast friends and his lovable family (along with a couple of toothsome enemies!) have been brought up-to-date in the new CGI animation. The major co-production between Penguin, Nickelodeon US and Silvergate Media has already garnered huge audiences on both sides of the Atlantic. The UK's BBC1 Christmas special performed above its slot average, whilst in the US the Nickelodeon Christmas special saw 13 million viewers tune in representing Nickelodeon's biggest launch in the last two years. Five tie-in titles publish this year in the UK to celebrate the launch of the animation including two storybooks, a sticker book, little library format and case board book. 2014 will see merchandise roll-out. The Peter Rabbit CGI animation continues to be sold globally with six additional broadcast partners confirmed to date for Australia, Ireland, Sweden, Norway, Finland and France. The Christmas Tale of Peter Rabbit by Emma Thompson follows hot on the heels of the critically acclaimed The Further Tale of Peter Rabbit by Emma Thompson published September 2012. The new tale will publish October 2013 in the UK and will feature Peter's comical little cousin, Benjamin Bunny and a new character called William. The tale will be set in Beatrix Potter's beloved Lake District. Emma explains: "I'm very proud that Mr. Rabbit has requested a further outing. I shall be more than happy to include his cousin Benjamin whom I've always found peculiarly attractive." The third book by Emma Thompson will publish 2014. Penguin owns world rights in all languages.